Normandy Christian Church is presenting their Drive Through Christmas story, complete with live animals, actors, and thousands of lights on Dec. 15 and 16 from 6:30 to 8pm. 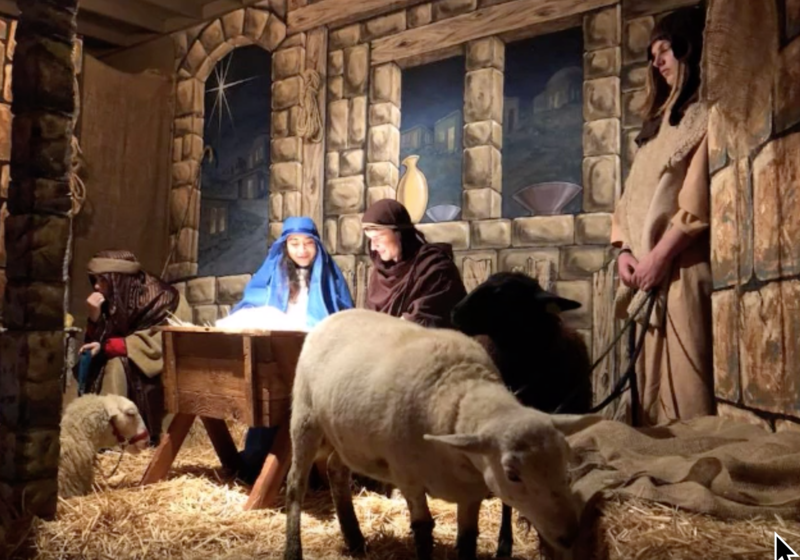 On December 15 and 16, from 6:00-8:30 p.m., you and your family and friends can be transported to Bethlehem while driving through the parking lot at Normandy Christian Church. Scores of volunteers, thousands of lights, and full-size sets bring to life the Nativity Story. You will visit live scenes of angels, shepherds, live animals, guests at the market and the inn, wise men, Mary, Joseph and the Greatest Gift, Baby Jesus.